For years our building code has allowed crawl spaces to be ventilated. New findings by the US Department of Energy have debunked the traditional thought process of a ventilated crawlspace. Not only did the study determine that ventilated crawlspaces are unable to control moisture in the foundation but having vents actually increases the moisture levels and DIRECTLY contributes and fosters mold growth. Your health is the most important thing in your life. Clean the air your breathe. Your home is your largest investment. Protect it. Seal and encapsulate your crawl space. 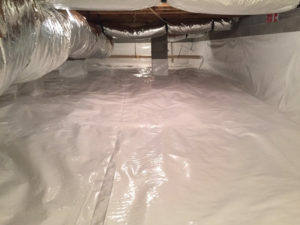 We use a 12 or 20 mil fiberglass reinforced antimicrobial poly liner on the walls and floor to completely seal all air and moisture from your home. This will keep harmful moist air outside of your home and keep your crawl space clean safe and sealed. 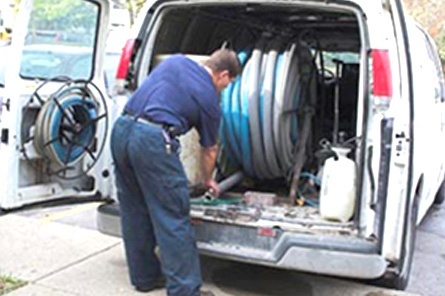 A series of measures may be used including forcing air into the crawl space or adding a dehumidifier. In some cases perimeter drains are required with a sump pump to remove any water from within the crawl space. We can remediate any existing mold on framing members and remove any existing insulation from your crawl space and replace it with a neatly installed rigid wall insulation. With our financing options of 6 months same as cash to 10 year low interest loans, you really can’t afford not to repair your crawl space.